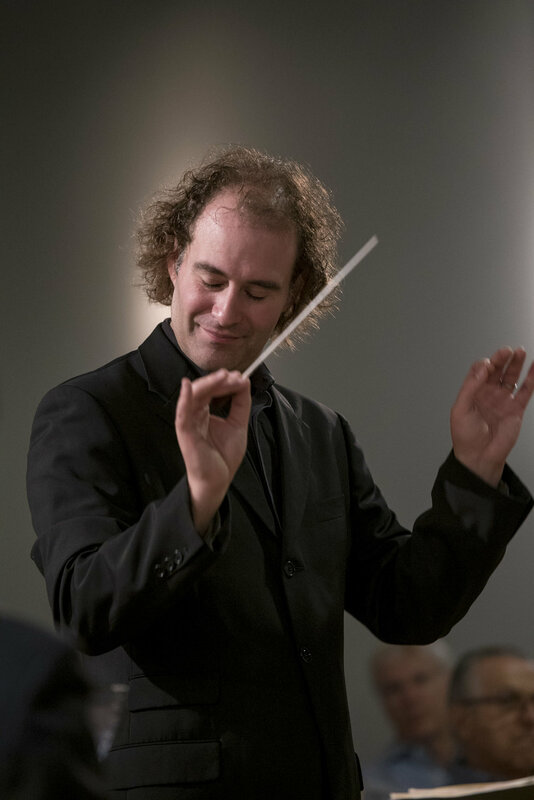 Antoine Plante, Artistic Director and co-founder of Houston-based Mercury Chamber Orchestra, is praised by audiences and musicians alike for his conducting verve and innovative programming, bringing music to life with accessibility and depth. "Plante led his orchestra, the choir and the soloists in an impressive account of the Requiem: authoritative, vigorous, emotionally intense, at times utterly gripping,” said Charles Ward of the Houston Chronicle. Under his artistic direction, Mercury has experienced remarkable audience growth and Plante has become known for his deftness in balancing a great works repertoire with lesser-known pieces and new orchestrations. His exciting musicality has made him an audience favorite, as evidenced by Mercury’s subscription renewal rate of over eighty percent and the orchestra’s need to move to ever-larger halls. A passionate supporter of classical music education, Plante has guided Mercury’s music education programs, a significant effort that includes classroom music education in under-served schools, master classes for school orchestras, and performances for schoolchildren. Plante has also earned a reputation for coaching musicians in period performance technique. Musicians that have worked with him form the core of Houston's spirited early music scene. Plante is experienced in directing orchestral pieces as well as works for voice, and has conducted several operas and ballets. He has collaborated with noted director Pascal Rambert to produce a modern staged version of Lully’s Armide, performed to critical acclaim in Paris and Houston; with Dominic Walsh Dance Theater to create a score for the Dominic Walsh ballet Romeo and Juliet; and with Tara Faircloth to create the original multi-disciplinary production Loving Clara Schumann. Recently, Plante has conducted Handel’s complete Messiah and Water Music, as well as Mozart’s Requiem and Bach's St. Matthew Passion. His opera repertoire includes Purcell’s Dido and Aeneas, Vivaldi’s Montezuma and Handel’s Rodelinda. In addition to Baroque pieces, his repertoire includes Classical works such as Mozart, Beethoven and Haydn symphonies. He has been guest conductor of Chanticleer, the San Antonio Symphony, Ecuador National Symphony Orchestra, the Houston Grand Opera, Oregon Bach Festival and Atlanta Baroque.